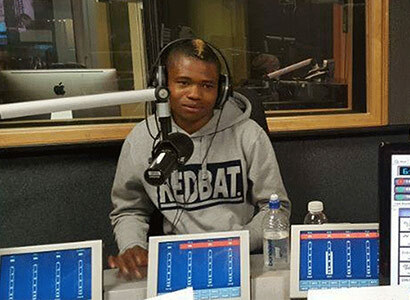 Phuti Lekoloane, Africa’s first openly gay professional male footballer, talks to Mambaonline about coming out in the macho sports world and being openly discriminated against. While women’s national team football players, like Portia Modise, and Olympic athlete Caster Semenya are openly LGBT, the major male sporting codes remain firmly closeted in South Africa. 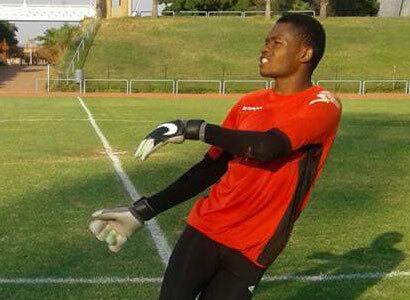 That started to change when Phuti Lekoloane (popularly known as Phuthi Minaj), goalkeeper for the Pretoria based JDR Stars second division team, came out as gay. 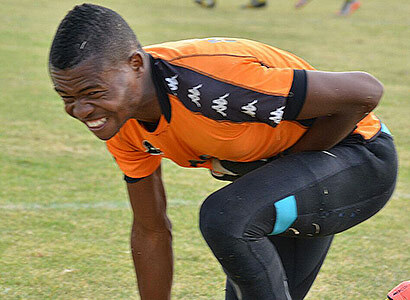 Mambaonline spoke to the 24-year-old footballer, who’s been playing since the age of 15, about the challenges he’s faced as a gay sportsman in South Africa. When did you first start becoming aware that you are gay? It’s not something that I became aware of. It was something I grew up with. It was something I was born with. And your family? Did you ever have to come out to them? It was something I was comfortable with. It was something my surrounding was comfortable with. So I didn’t have to explain myself to anyone. Everyone saw when I was growing up that I was different. I was never in the closet. I have a very intelligent parent and nothing needed to be said. Were there any negative experiences that you had to deal with when growing up? I think it’s something we all go through every day. So I have my own experiences like everybody else. It started at school and in the community and then in the football fraternity. Tell me about what you face on the field? This is something that doesn’t happen very day; where someone is gay in a male dominant sport. So sometimes you get people who are going to try to put you down because you are different. But I’ve learned to use it as a motivation. If people support me I feel pressure, but I prefer people being against me because I get motivation from that. Their expectations are that I am going to fail and I try to put them in their place; by expressing who I am and what I’m made of. Does being openly gay put more pressure on you? I have to prove myself every day that I am better, that I am talented like everybody else. Do you feel that it’s holding you back in your career? It does. I was recently at a team for trials. The question that was raised by the coach and the management was: “How are we going to deal with you, because in our community we are not used to this kind of thing? You are a very good goalkeeper but how are we going to accommodate you? And what about the image of the team?” That’s something that hit me – that I am going to “be bad” for the image of the team. It’s very tough. Nothing has been done in South Africa. It is always about racism; nothing has been done about homophobia. It is something that needs to be raised. We have this fantastic Constitution, but the sports world seems oblivious to it when it comes to gay people. What do you feel they should be doing? They should start by educating the players and going to the teams. I can’t be trying to break into the bigger league and then be judged for being gay and not because I am good or bad. If you listen to comments that people make about me playing soccer, you’ll be amazed that I am still in the lower league. So you believe that you should have advanced further? Not that I’m arrogant but I am better than most of the goalkeepers who are playing in the PSL (Premier Soccer League). Because of my sexuality I find myself in the second division. Do you regret being open about your sexuality? I don’t regret it. I regret not coming our earlier. But everyone is interested in me coming out but how are people dealing with this issue that coaches and people judge one because of their sexuality and not because of their ability? What is the gay community doing about that? Well, I think it starts with someone like you coming out. As long as there is no one that is prepared to say, “I am gay and I’m a footballer,” people can just ignore the issue. What kind of response did you get after being on Robert’s show? How have people reacted to your coming out? There has been [some] negative response, but I don’t pay attention to that. I invite positive energy and hence I’m looking at the positive response, which I’ve received on social media and in the community. People feel that I have [simply] told the public who I am. My teammates are very supportive. I have learned to teach the people that I work with that, “this is me, this is how you should treat me”. They have accepted me, and even have no problems sharing a hotel room with me. It all starts with me; if I accept myself for who I am then people will accept me. Lekoloane’s coming out is a landmark development in South Africa’s football world. For the first time, an issue that might have been considered theoretical and that could be ignored now has a real, living and breathing champion. His courage may well be a first step to making the sport one that accepts and celebrates diversity. While there are campaigns internationally to tackle homophobia among fans and players (such as the “#rainbowlaces” campaign in the UK), PSL spokesperson Luxolo September told Mambaonline that although the league runs general anti-discrimination drives it has no specific efforts to deal with homophobia. “We have a zero tolerance approach to discrimination in the league, whether it is race or sexual orientation or religion,” September said, but admitted that he was not aware of any incidents of homophobia within the league. “That doesn’t mean it doesn’t happen,” he added. September pointed out that Lekoloane’s team does not fall under the PSL but that if he had been rejected by a PSL club because of his sexuality he should bring the matter to the league and it will be addressed. He, however, refused to be drawn on if the PSL would consider implementing any future campaign that would specifically address homophobia in the sport. Mambaonline also contacted the Sports Ministry which chose to not comment, as the issue, it said, was one for the individual football bodies to deal with.